Hi.. i`m looking for a long time for a good artic mod 1/3 .. I have a nice RT allmost like the original but a liitle moded. A want the artic high as the original, and a little moded. Can someone help me? Thank you, but i want something closer to the org. I have a mod that you want, Its are original artic trailer1 and Dumpertrailer but have added lights at every corner of the trailers. Check this topic http://www.forum.convoytrucking.net/index.php/topic,19229.0.html and search for the download link you want. Do you got for artic 3 too? No the player who made that mods (ihatetn931) did only make it for artic1 and dumper. 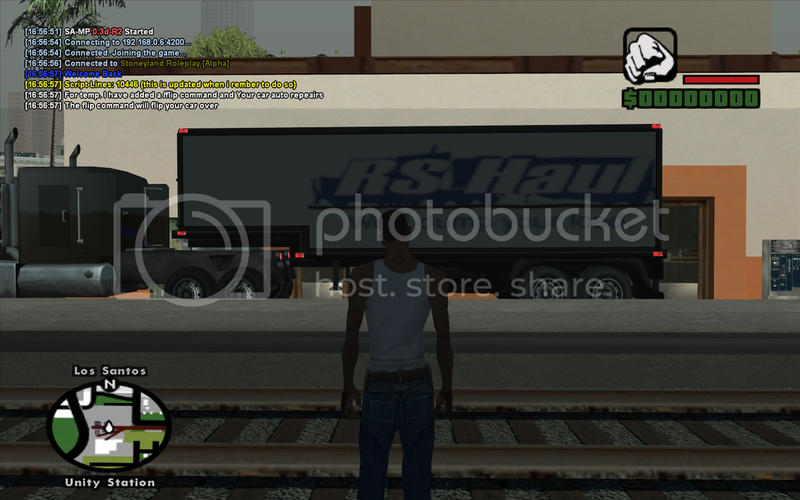 And btw i use the same truck as you it match perfect with this trailer mods! Ok, thanks for these too. You guys use the Mack Titan too? My artic trailer there is too like the original, thats why ive had it so long. That artic u got is to high.. and i dont really like it, if it would be lower, it would be cool.